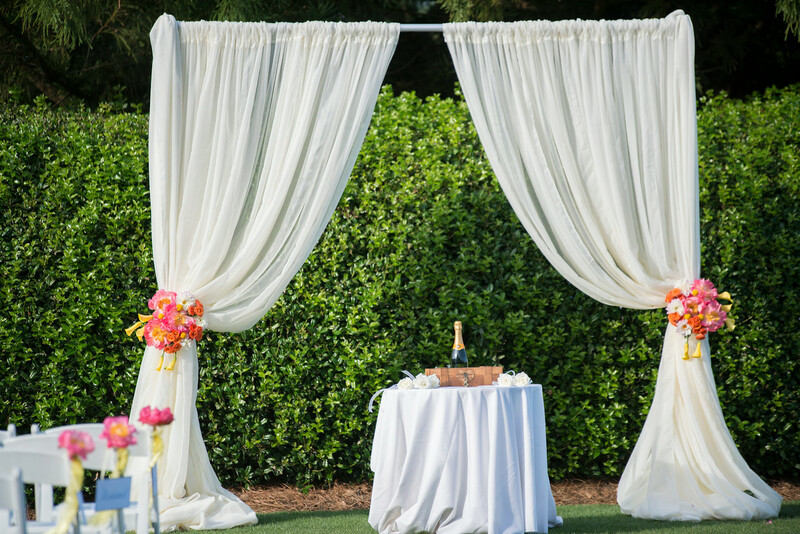 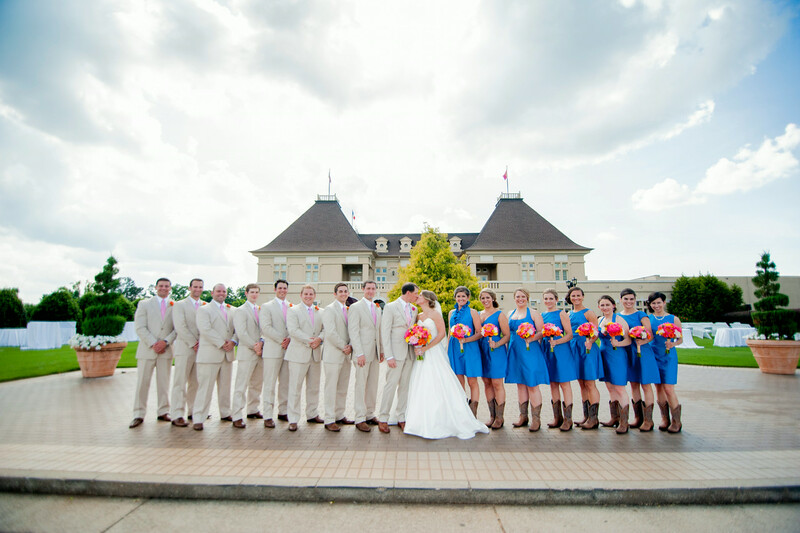 Beautiful Jenny brought a little cowboy country to Chateau Elan Winery and Resort. 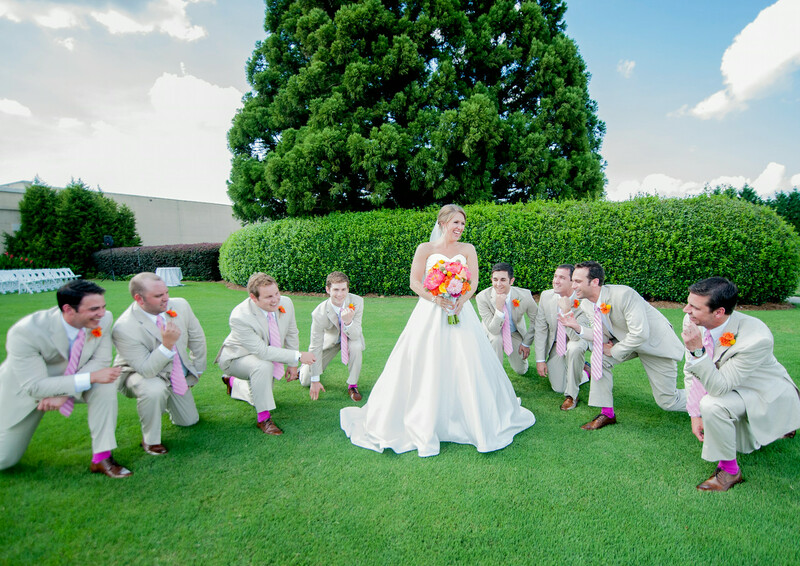 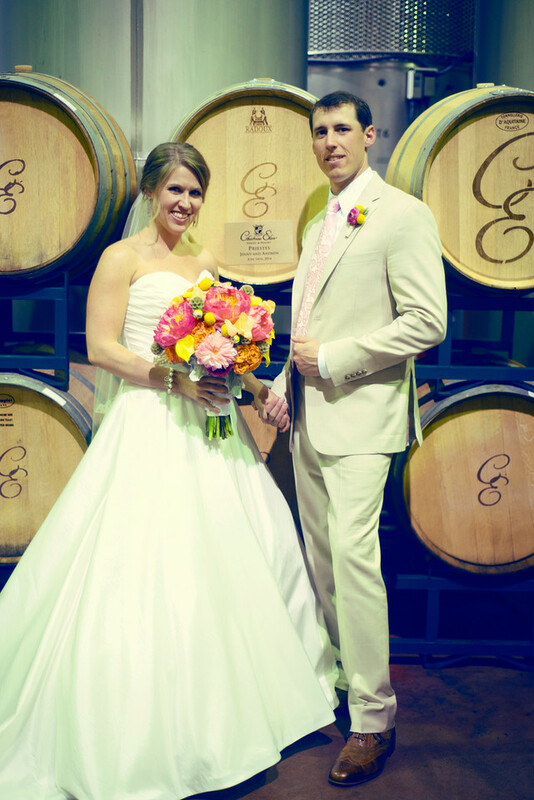 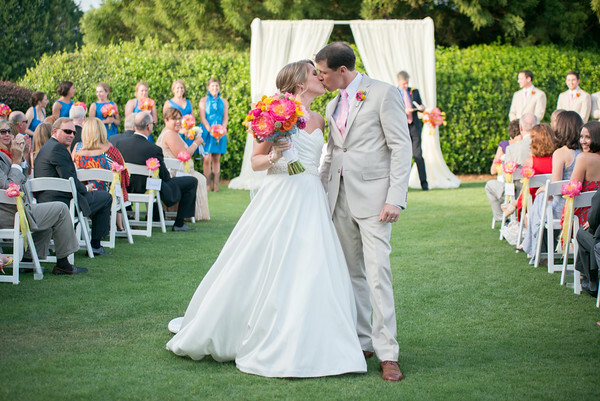 This awesome couple were married on a summer evening at the Winery lawn. 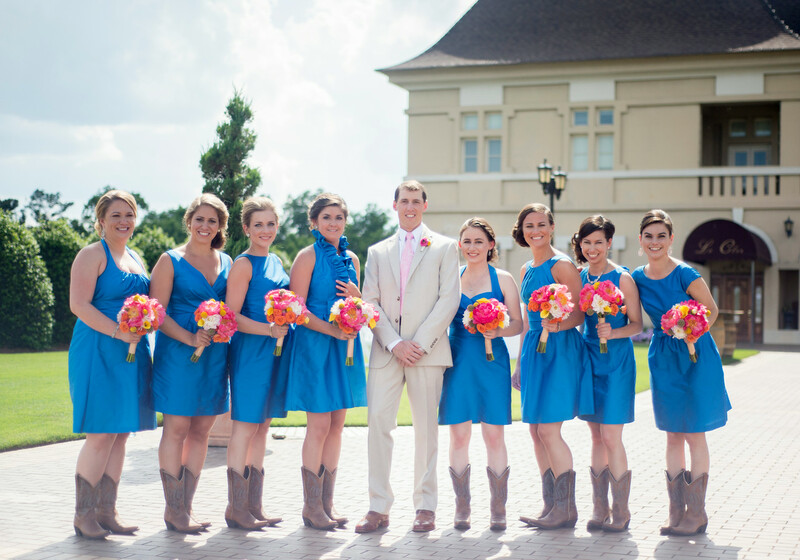 Bridesmaids styled in blue dresses all uniquely different, but, ALL wearing their fashionable cowboy boots. 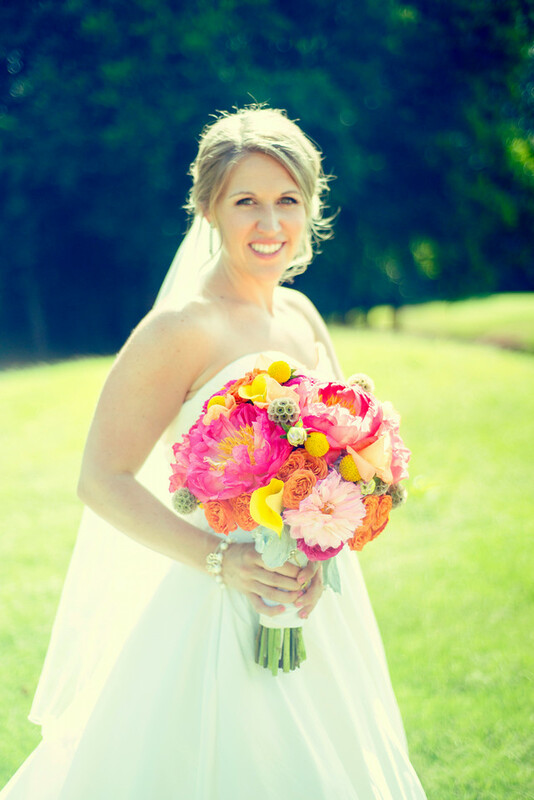 Design House loved creating her full round bridal bouquet with hydrangeas, coral peonies, yellow sunset calla lilies, orange gladiola blooms, and hot pink ranunculus. 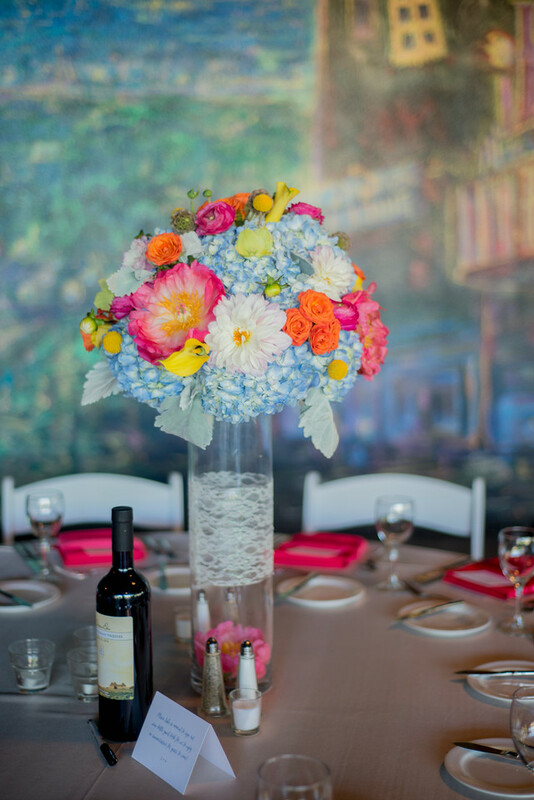 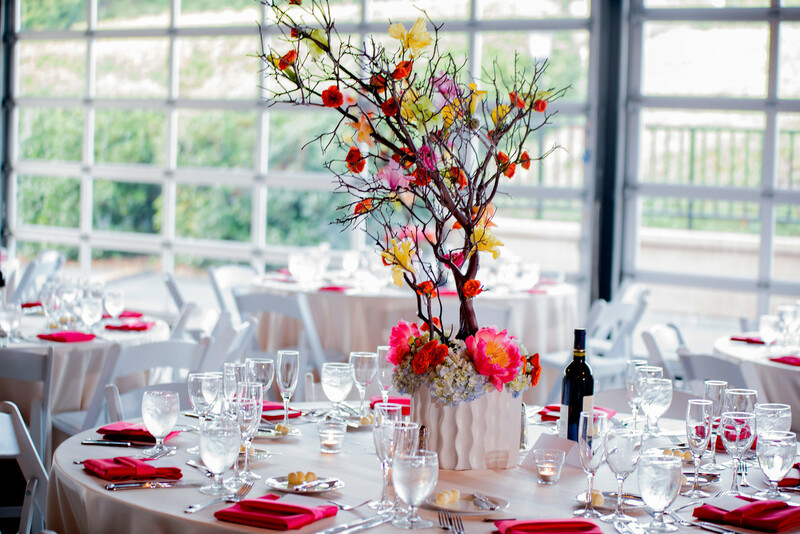 Absolutely stunning as the colors transcended to the Winery Pavilion reception where “Coral” dominated the guest tables along with blooming manzanita trees, and colorfully elegant floral centerpieces. 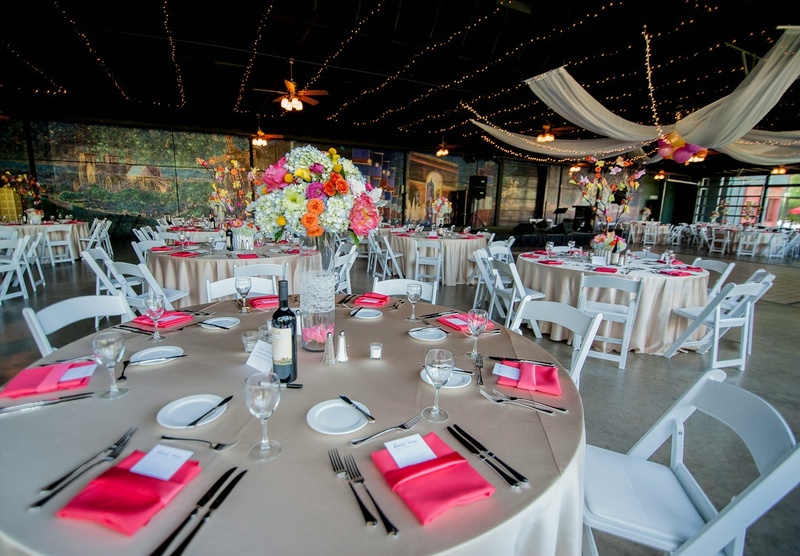 Even the dance floor had pink, orange, guava, and yellow lit paper lanterns glowing from the draped twinkling ceiling! 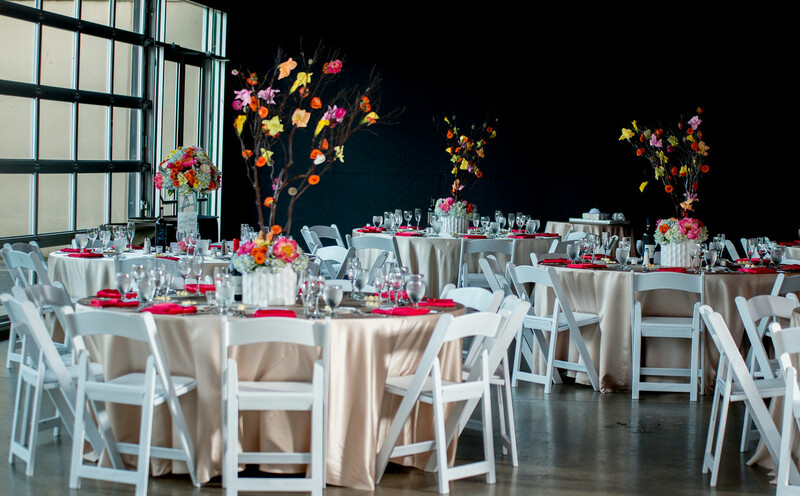 So much fun – Such a festively perfect night. 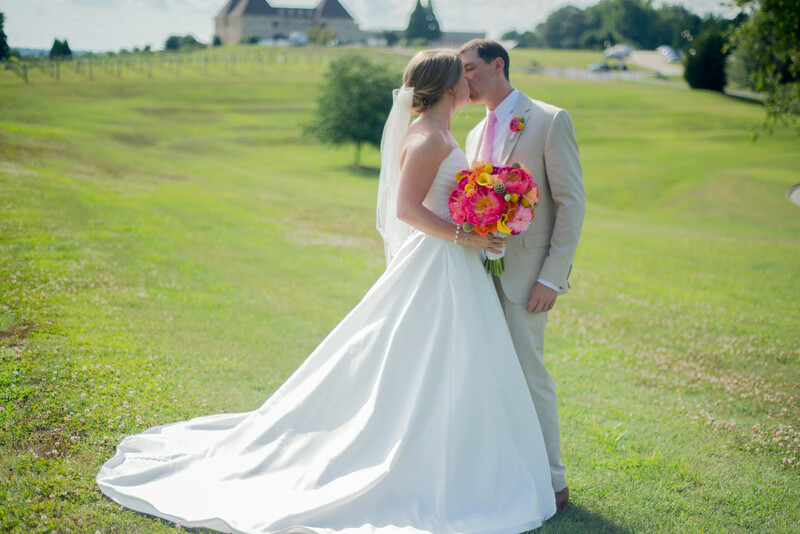 Wonderful photos by Angel Wings Photography – – Thank you!